Come take a tour — you’ll want to stay. 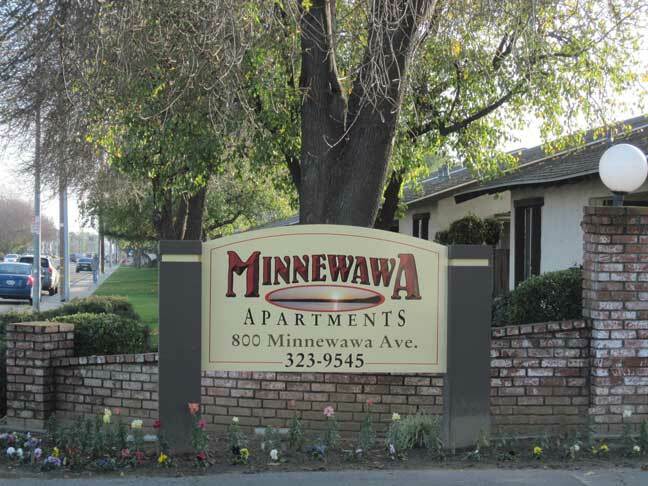 Escape to Minnewawa Apartments and discover a quiet and relaxing community to call home. Nestled in the historic old City of Clovis, with its busy calendar of events, our lovely grounds feature tree wood carvings scattered throughout. Where else can you live side-by-side with raccoons, bears, and owls? Shopping, schools, Letterman Park, the Post Office, and other essential services are nearby with easy access to the Sierra Freeway (Highway 168). Each of our units is single story, and includes air conditioning, fireplace, and dishwasher. Each apartment is cable ready. We also offer a pool, and two laundry rooms.